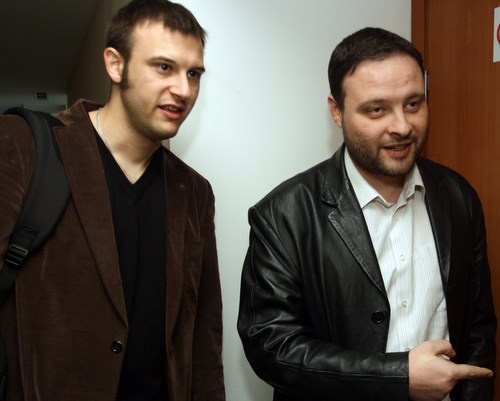 Рўhe three deputies from the far-right "Ataka" party are Bulgaria's "laziest" Members of the European Parliament. This becomes clear from a MEP ranking of the UK NGO "Open Europe", which uses 19 criteria to rank the 785 EP deputies including how they voted on key projects, their attitude towards abuse of funds, transparency of spending, and presence at European Parliament sessions, among others. According to the Open Europe ranking, the most active Bulgarian MEP is Metin Kazak from the ethnic Turkish Movement for Rights and Freedoms (DSP), followed by Bilyana Raeva from the National Movement for Stability and Progress, and Mariela Baeva, again from the DPS. The three of them are ranked 160th, 221st, and 260th respectively. They are generally followed by Bulgarian MEPs from the Bulgarian Socialist Party. The last three Bulgarian spots in the ranking are occupied by the far-right "Ataka" deputies - Dimitar Stoyanov, Slavi Binev, and Desislav Chukulov, the last being ranked 713th out of a total of 785 MEPs. The MEPs are that "lazier" that them come mostly from Cyprus, Greece, Italy, and Spain. In a letter to the BGNES news agency, the "Ataka" party press center has pointed out that the Bulgarian MEP from "Ataka", Dimitar Stoyanov, had the greatest number of speeches in the European Parliament of all Bulgarian MEPs - he has spoken before the whole Parliament a total of 42 times. The Ataka party press center has also stressed that the DPS MEP, Metin Kazak, who is cited as the most "hardworking" Bulgarian deputy, has spoken in the European Parliament a lot fewer times.